Why was The Examen Journal created? In the spring of 2017, I specifically felt a call to return to the Examen as a way of praying. Full days as a stay-at-home to two children under two left me longing for a tangible way to come to God every evening in conversation. After not being able to find a journal purposed primarily for the Examen, I decided to make my own. At the encouragement of my husband (my biggest cheerleader!) who felt that others might also really want to use the journal, too, I made the decision to self-publish. What does a filled out journal page look like? What if I do it wrong? There is no right or wrong way to use your journal. The goal is always to grow into a deeper relationship with God. To see some sample pages, check out this document. 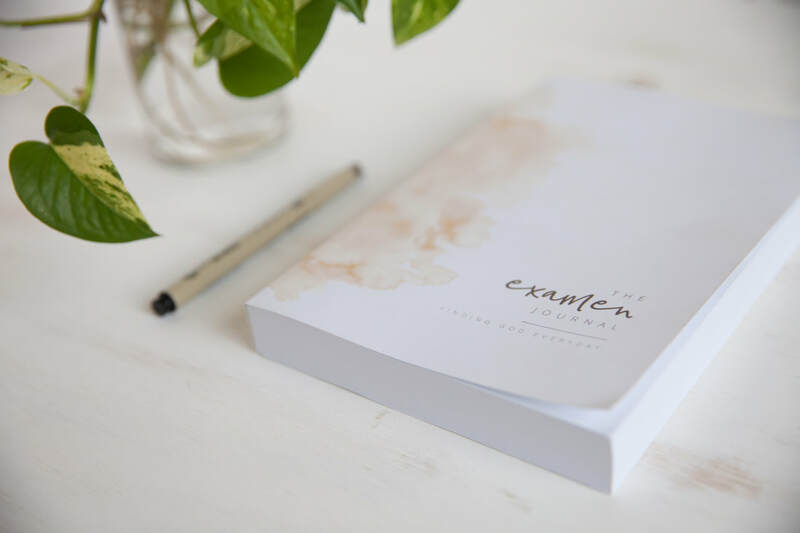 While The Examen Journal is based on a prayer introduced by the Catholic Saint Ignatius, this prayer tool is designed for ANYONE seeking God on a personal level...Catholic, Christian, and those searching. The desire to know God and find Him in all things is most important. How can my ministry use The Examen Journal? Please visit this document to learn more about how you might utilize The Examen Journal in your ministry. ​order for The Examen Journal? Yes! Please email us at mary@creatingtolove.com for more information.